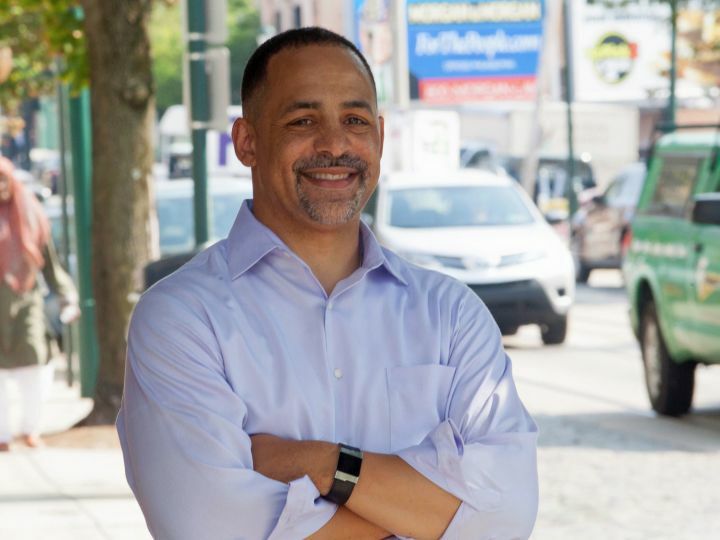 Chris Rabb is an independent, reform-minded public servant committed to service in furtherance of social, economic and environmental justice on behalf of his diverse constituency of upper northwest Philadelphia and ALL Pennsylvanians! Chris Rabb is a father, teacher, author, social justice activist and the state representative for the 200th legislative district, which includes Chestnut Hill, Mt. Airy and part of West Oak Lane. In the legislature, Chris sits on the committees on agriculture and rural affairs, commerce, finance, state government and urban affairs, and serves as treasurer of the Pennsylvania Legislative Black Caucus. Chris is also a founding member of the Climate Caucus, vice chair of the PA SAFE Caucus, and is a member of the Democratic Caucus Policy Committee, Intellectual Disabilities and Autism caucus, Early Childhood Education Caucus, LGBT Equality Caucus, Mental Health Caucus, and the Women’s Health Caucus. Since his election, Chris has introduced bills on the National Popular Vote and sentencing reform, stood with legislative colleagues and leaders including Mayor Kenney to outlaw so-called "conversion therapy" and is working to introduce resolution to make Pennsylvania a "sanctuary Commonwealth" and has spoken out regularly against the reckless and harmful policies put forth by President Trump including his immigration policy and appointment to the EPA. Learn more about Chris and about his accomplishments since taking office.